Brian Wonders Launched its debut collection last Wednesday, December 7th 2016. 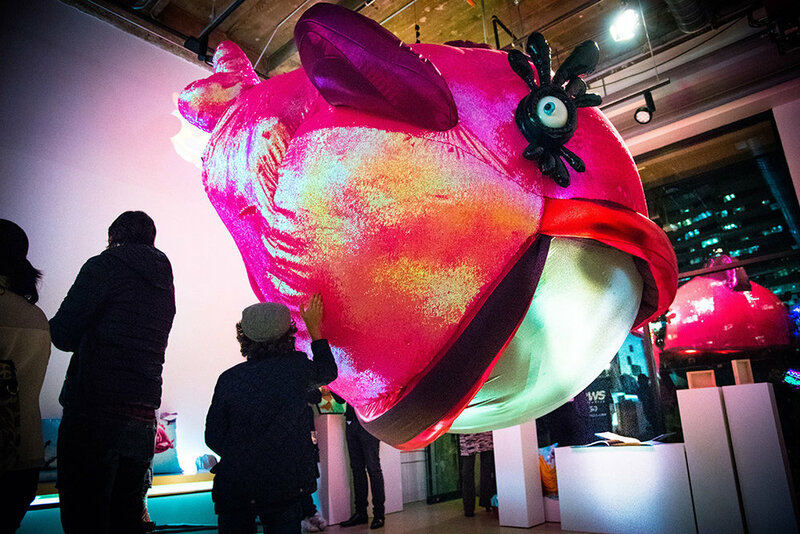 Big hug to Emmanuel Renoird and Nicolas Libert from Please Do Not Enter for hosting the event and trusting me to float a giant pink fish in the middle of their showroom. 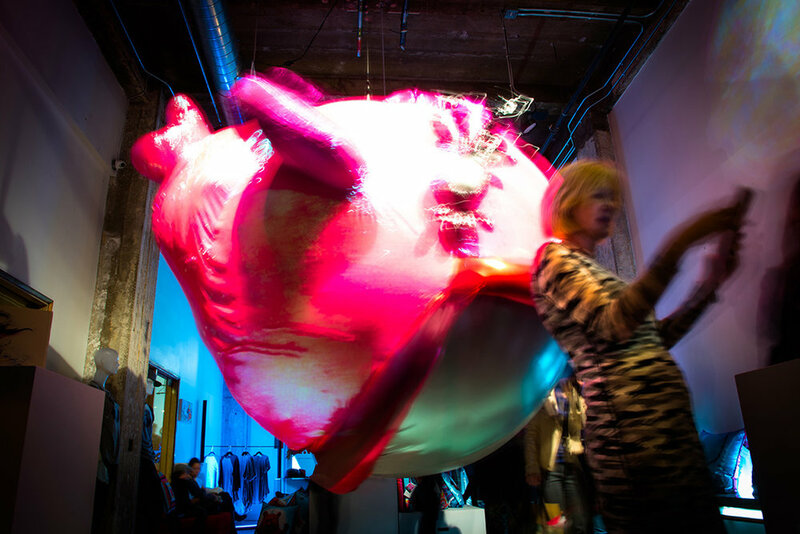 For the launch, Pinky the Fish was suspended from the ceiling and lit up like a giant disco ball. The star of the show, Pinky. Pinky as he appears in the storybook spread. Each storybook comes signed and numbered, available for purchase in the gift shop. The Brian Wonders Launch Collection of Illustrated Pillows features three characters from the storybook, brought to life in rich gorgeous color. DJ Omar Dijou brings the glitter in his mix. The installation is textural and gliding your hand across its shimmering sequin skin is highly encouraged. Featuring characters and colors from the storybook including Pinky, available in the shop. Jonathan Guzman normally makes gowns for celebs but for this project he created the sequin skin for Pinky. My partner in crime. Check out my IG to see Pinky as a work in progress. Snapbacks from the Launch Collection feature Bash the Pirate Bear. A gradation of grey caps stitched with 3D embroidery in contrasting pink and neon colors. Edition of 100, number stitched on the inside. Luna Character Figures, available for spring/summer 2017. Edition of 250. Pre-order here. Giclee prints, mounted on a solid pine cradle. Available in 24" x 12" or 40"x 20", 1.5" profile. Shop.